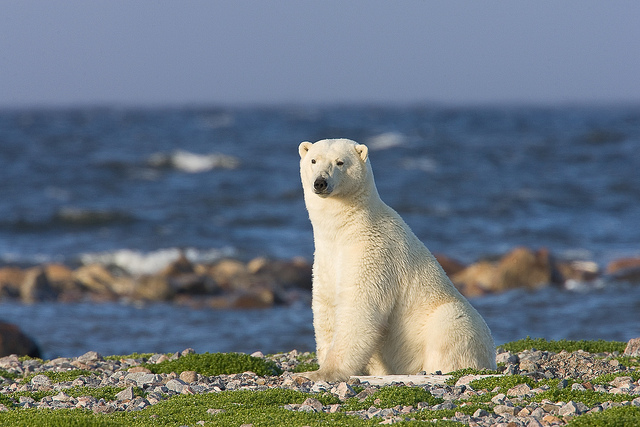 Hudson Bay Odyssey – The Great Canadian Travel Co.
ence some of the best wildlife viewing possible! Prices are shown in CA$, per person, based on two people sharing a twin room, one person in a single or a child sharing a room with two adults. Single guest can register to share a room with another person of the same gender at the regular per person, twin rate. Day 1 – Anticipation begins! You will arrive in Winnipeg on your own travel arrangements and overnight at The Grand Hotel, Winnipeg Airport. At 7:00 pm there will be a group dinner at the hotel where you will meet your guide and other tour participants. This is a very unique program and is sure to be the trip of a lifetime. 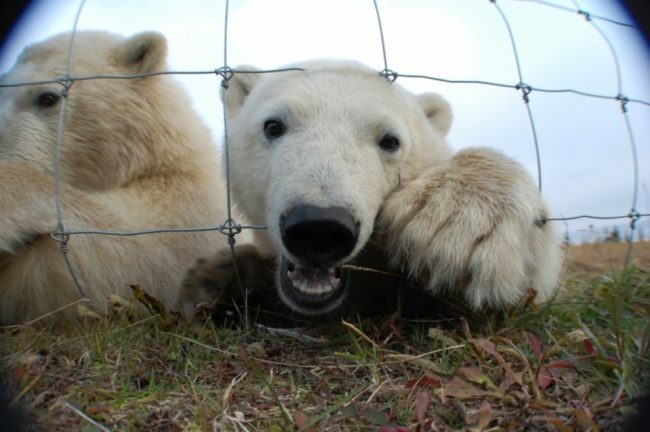 The owners and staff routinely deal with the unique situations that arise from having polar bears in such close proximity with humans. There is an overwhelming abundance of wildlife in the area to photograph and enjoy. There is a variety of migratory birds including geese, wolves and moose. It is very common during the season to record over 400 bears passing by the Lodge. Our daily record from 2005 is 17 bears around the Lodge in just 9 hours. Photo opportunities present themselves often from inside the 8 foot buffalo fence, with bears as close as 3 feet away. Come and join us on what is sure to be an adventure to remember. 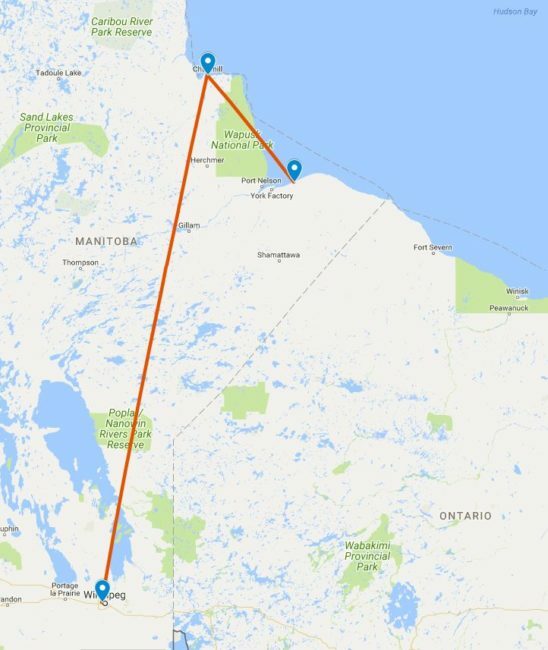 You will depart Winnipeg for Churchill early in the morning on Calm Air International. Upon arrival you will transfer to a private charter for your one hour flight to Nanuk Polar Bear Lodge. You may have some great opportunities for aerial photography during the flight so make sure you have your cameras ready. Upon arrival at the Lodge you will receive a tour and be shown to your room to get settled. Check out our library which includes local maps and information as well as our gift shop. 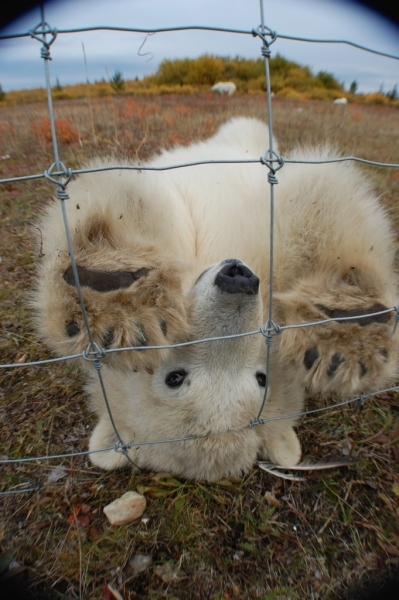 Lunch is served shortly after your arrival, and you will be given an orientation on your stay in polar bear country. This day includes an interpretive walk on the inland Palsa Bogs, Tundra Ponds and Taiga Forest. Appetizers and cocktails are served at 6:00 pm and your gourmet dinner is served at 7:00 pm. After dinner there will be an informative lecture or slide show presentation. Lights are out at 10:00 pm – this is when the generator is turned off. If it is a clear night you will have the chance to view the Aurora Borealis (northern lights). Days 3 to 5 – Nature trekking, Polar Bears and Pristine Photography! During the rest of your stay your gourmet breakfast will generally be served at 8:00 am and your outings will begin at about 9:30 am. If there are bears near the Lodge (this happens often!) the tour may be delayed to take advantage of the photo and observation opportunities. There is the option available for anyone to stay behind to take photos of the wildlife around the Lodge and relax. An ATV coastal tour to the tidal flats and Hudson Bay shoreline, including a viewing of the historic vessel the ‘Mooswa’. Lunch and a tea boil are served around the campfire. A full day photo tour to the coast of Hudson Bay to photograph the polar bears and other abundant wildlife in their unique landscape. Lunch and a tea boil are served around the campfire. After lunch you will explore the river deltas and coastal eskers. Staying close to the Lodge to take advantage of the opportunities that present themselves as the day unfolds to photograph the King of the Arctic. Visitors are invited to immerse themselves in the Arctic environment. Lunch is served at the Lodge on this day. Appetizers and cocktails are served at 6:00 pm and your gourmet dinner is served at 7:00 pm. After dinner there will be an informative lecture, slide show presentation, or informal visiting. 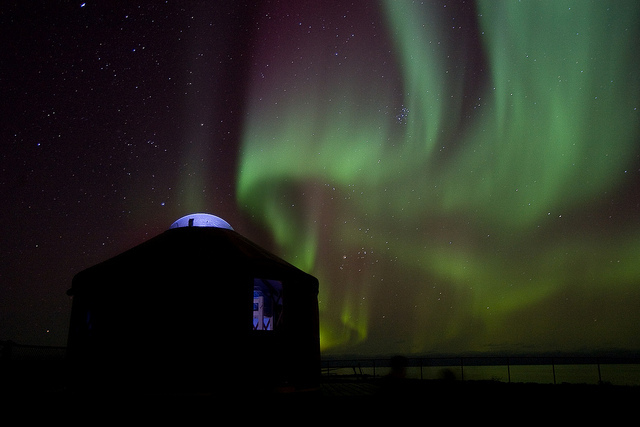 Aurora Borealis viewing after dark if conditions are optimal including gentle wake-up calls. After another hearty Lodge breakfast, we will begin air transfers back to Churchill. Have your cameras ready for the return flight as it affords excellent opportunities for great aerial shots. Today is your last day in Churchill. Upon your return to Churchill, our representative will store your luggage. The balance of the day is then free for browsing the shops and exhibits of Churchill. 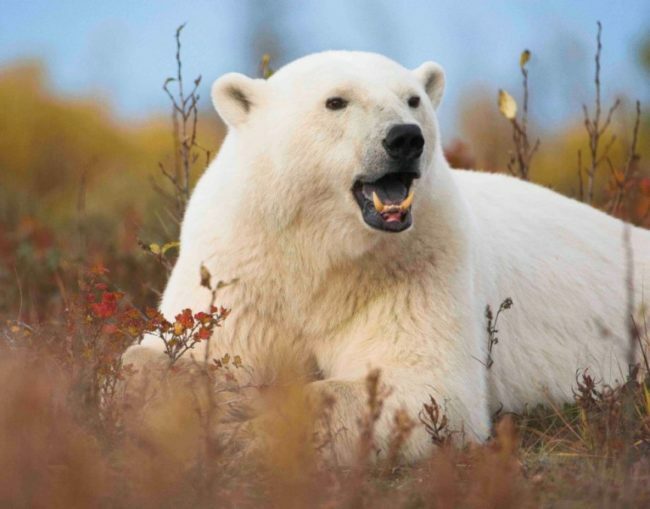 Local places such as Cape Merry, the Port of Churchill, the Eskimo Museum, the Polar Bear Holding Compound (otherwise known as the Polar Bear Jail), as well as the Parks Canada exhibit are all of great interest. Please refer to your “Top Things to Do and See” list we provided. Your flight south to Winnipeg will take place this evening. On your arrival into Winnipeg, collect your bags and check in at The Grand Hotel Winnipeg Airport for a restful night filled with cherished memories. Day 7 – Homeward Bound! 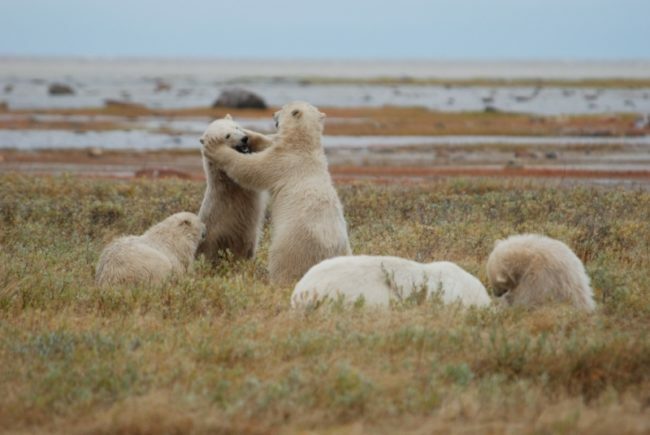 Today you will fly home on your own travel arrangements, marking the end of your polar bear adventure. 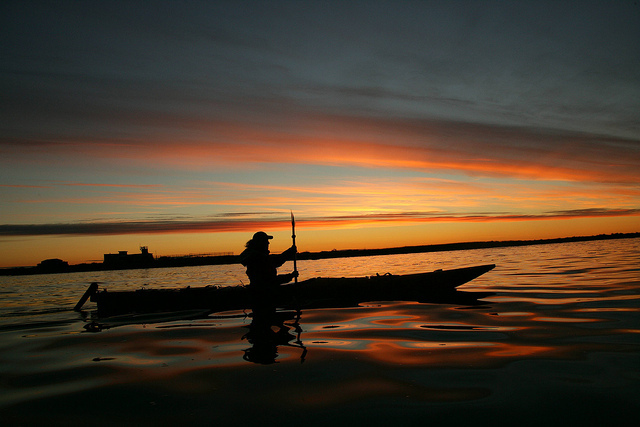 Make the most of your trip by adding on a day in Churchill to snorkel and/or kayak with beluga whales! Cost is estimated at $500 CAD per person, plus applicable taxes. This price includes your hotel stay in Churchill as well as a guided tour. Talk to your adventure specialist for details or to book!